The KODAK 9000 3D System gives our practice the ability to take powerful 3D images, while using less radiation. The unit captures high-quality images and allows our pracice to perform a wider range of diagnoses and treatments in the office, helping reduce multiple visits and rescheduling, saving our patients time an money. Three-dimensional technology allows doctors to better visualize their patients' dentition, without having to send patients for radiology scans. Viewing an unprecedented level of anatomical detail helps practitioners diagnose more accurately and treat with confidence. This unique "two-in-one" system (2D and panoramic) is well suited for dental professionals who regularly perform complex diagnostic, restorative, surgical, and endodontic procedures. The highest resolution imaging capabilities provided by this unit will enable clinicians to detect lesions with more accuracy. This breakthrough technology provides unprecedented x-ray views of the oral cavity. 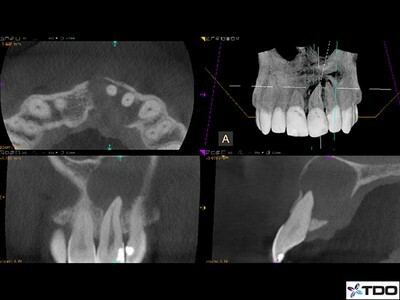 Periapical and panoramic radiography have been augmented by the recent introduction of high-resolution cone beam computed tomography (CBCT), allowing 3D assessment of oral lesions, canal morphology, retreatment cases, root fractures, implants, and so forth. Because the 9000 system focuses only on the area in need of diagnosis, the amount of radioation exposure is significantly reduced, delivering 10-30 times less exposure than other dental radiography systems. Comfortable patient positioning and wheelchair accessibility make the unit patient-friendly. The system enables doctors to perform a wider range of diagnoses and treatments in the office, helping reduce multiple visits, saving patients time and making the treament more affordable.